Frank Alexander Montgomery, b. 1830. Reminiscences of a Mississippian in Peace and War. 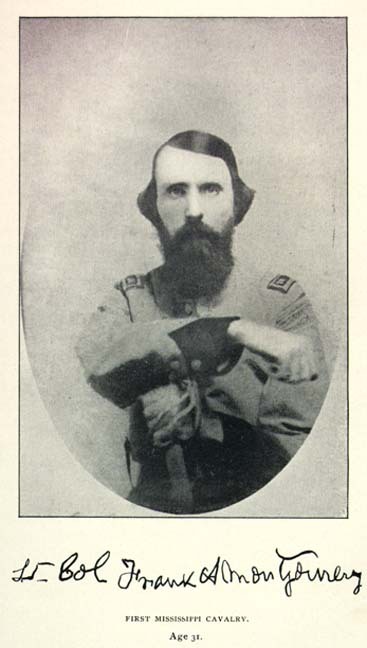 Collections >> First-Person Narratives >> Document Menu >> 44 - Lt. Col Frank A Montgomery FIRST MISSISSIPPI CAVALRY. Age 31. Reminiscences of a Mississippian in Peace and War. Cincinnati: The Robert Clarke Company Press, 1901. Montgomery, Frank A. (Frank Alexander), b. 1830.